Lurline's Place: Back to Stitching! What a fun day I had yesterday! 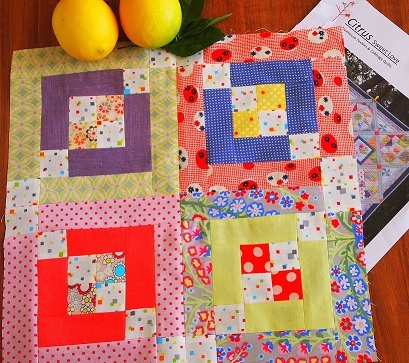 Doing what I enjoy - made a lovely start on Citrus Sweet Love, first block of BOM by Treehouse Textiles and one of Australia's favourites, Cathy of Cabbage Quilts! Gorgeous to play with these prints, accuracy needed on seam allowance - I set my Janome 6600 on 4.7 to achieve the desired scant .25" seam allowance and I also pressed all my seams open. This is a bit more time consuming, but achieves a lovely finish when dealing with 1.5" cuts. Back to my other world - here's our gorgeous Nate, probably 5 days old after he had come out of the humicrib and in a special nursery - I took this pic through a viewing glass as I still wasn't allowed in to see him. It was only the second time I had seen him - they did allow me a glimpse when I first arrived. At home with the little quilt I madce for him covering him - it's not showing up too well. Do I think he's the bees knees? - of course I do, lol! I may have mentioned Aaron is a fabulous cook - this dish is Larb Kai - ground chicken, warm salad with lots of beautiful fresh herbs, served with eggplant, cucumber, snake beans and sticky rice. I'm not a great rice fan so I ate mine San Choy Bow style in lettuce leaves, the gorgeous juices running everywhere. Oh, I must have some lunch, my mouth is watering. Nate is the bees knees!! A very handsome young man. I love Larb Kai. I also love sticky rice. Nate is such a cutie! I see more trips in your future. Aaron's cooking looks great! I'm sure you miss him as well. 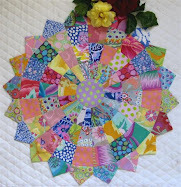 Love your fabrics and your blocks - will be very cheerful. I can see why it was so hard to leave Thailand. Nate is gorgeous! So glad he is doing well enough to come home and that he is growing and thriving. There you go again, tempting me with a scrappy block. This seems to be "the summer of the grandson"! What a darling little guy! When will you be able to get your hands on your beautiful new grandson? My son Aaron is also a great cook, I steal plenty of his recipes and always enjoy his cooking. Happy Sewing while you wait to snuggle with Nat. Your little Nate is so cute . He looks healthy and sweet ! Congratulations , Lurline . Happy sewing ! Your new blocks are gorgeous. The new grandson sure looks like a little sweetie. What a little cutey Nate is! Now THAT is one handsome little boy!!! He's so cute! What a little treasure, Lurline! And your quilt is coming on so nicely. Ooh your block looks fantastic Lurline, awesome work! How gorgeous is your little Nate, such a treasure, that meal looks amazing. 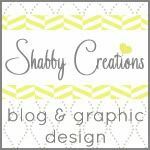 Hi - love your blog posts. Just wondering with your beautiful BOM from Treehouse Textiles, is the top left hand corner block supposed to have the white small blocks the other way? Are they supposed to be like a Irish chain pattern? If so, they need to be rotated. I hope this makes sense!